Do you use Dragon or Powerscribe dictation software in your medical practice? Are you looking for better performance from your microphone? The Nuance Powermic III, formerly known as the Dictaphone Powermic, will transform your dictation capabilities by improving speed, accuracy and efficiency. Designed for use with Dragon Medical Practice Edition and Powerscribe systems, Powermic III represents the best in high-performance speech recognition microphones. What Makes Powermic III Different From Its Predecessor? If you’re a current or previous Powermic II user, this upgraded microphone for Powerscribe and Dragon software users includes a host of improvements designed to simplify operation. These include a compact, more ergonomic design and a new touchpad with a built-in mouse sensor that enables you to navigate and control your PC and dictated document just by making small swipes — you won’t need to connect an external mouse. Other enhancements for this state-of-the-art Powermic speech recognition microphone include a larger multi-colored LED indicator for easier visibility. You can also select an optional 3 ft. or 9 ft. power cord — a shorter cord is often the better choice for tablet and laptop users. Most of all, whether you use this microphone for Dragon software or Powerscribe products, you will have greater control over the button assignments, resulting in faster, more efficient and accurate dictation than you’re currently experiencing. Flush, Angled Microphone Element This makes the microphone more comfortable for the user and ensures optimal recording levels. Primary Dictation Controls Easy-to-use push-button controls manage essential functions such as play, fast-forward, rewind, enter and select. 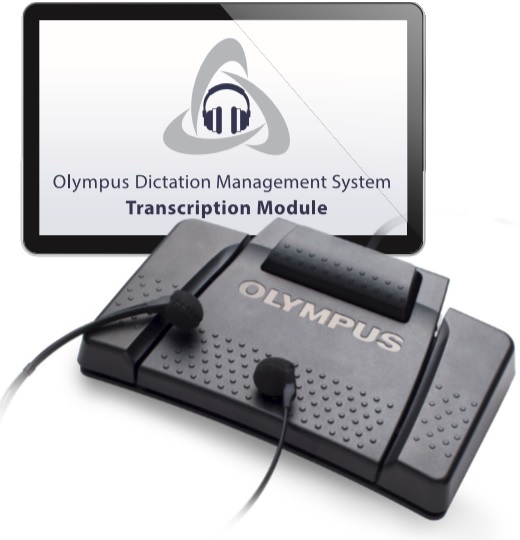 Transcribe Button Provides the capability to recognize speech and automatically deliver dictation to a transcriptionist when the physician does not self-complete. Track-Point Tool Includes a built-in mouse control tool for moving the cursor to the left or right and selecting dictation functions. Tab-Forward/Tab Backward Enables faster navigation speed when working with voice-driven templates and forms. Anti-Bacterial Surface Meets sanitary/hygiene needs when using the Powermic speech recognition microphone in doctor’s offices, hospitals and other clinical settings. Why Purchase Your Nuance Powermic III From dictationstore? With more than 45 years of dictation/transcription industry experience, you can trust dictationstore for all your dictation equipment and software needs. In addition to offering only top-quality products like the Nuance Powermic III, we also provide a level of customer service and technical support that our “less seasoned” competitors cannot match. What’s more, we offer free shipping on eligible orders greater than $50 to help keep your costs under control. Order your Nuance Powermic III Speech Recognition Microphone for Powerscribe or Dragon software or contact us for more information today! Formally known as the Dictaphone Powermic, the Nuance Powermic 3 is the latest release in high performance speech recognition microphones. New compact and ergonomic design. Larger Led indicator, with multiple colors. 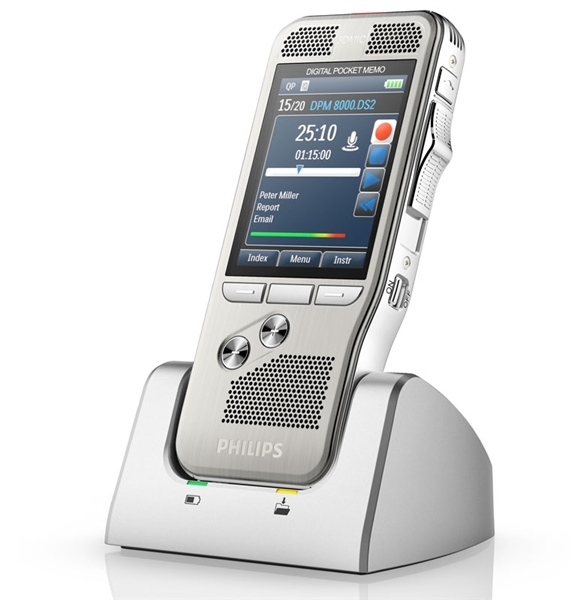 The Powermic III was designed specifically for Dragon Medical Practice Edition and Powerscribe systems. This microphone works natively with these software programs and allow you to have full control over the button assignments. The new Touchpad allows you to eliminate the need for a mouse. You can easily navigate and control your PC and document while dictating into your report with small swipes across the touch sensor. The option to choose your cord length is useful for those who use a laptop or tablet and need a shorter cord to carry around. Please choose your cord length before checkout. Supported Environments: Citrix® and VMware are supported. For more information, please contact Nuance Technical Support.